We wouldn’t be where we are today in our understanding of the influenza virus without the long history of vaccination trial and error over the years. As knowledge of the flu virus has grown, governments have put into place programs for monitoring circulating flu viruses and developing vaccines for use across the globe. Researchers continue to work on the flu virus, its various strains, and what makes some deadlier than others. Influenza is more serious than the common cold, causing more severe symptoms at a faster pace. People can transmit the flu virus via airborne droplets; for example, by coughing or sneezing near another person. The virus is also transmitted through contact with infected surfaces—most notably by touching the nose, eyes or mouth with hands that have touched something that contains the flu virus. That is how it can spread so quickly through communal areas such as schools, office spaces, and homes. New strains of the flu virus develop immunity to previous vaccines through mutation. 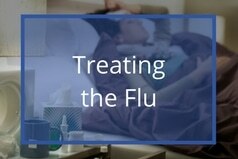 Each year a decision must be made as to which flu viruses are most likely to be circulating in the upcoming flu season. The annual flu vaccine is then produced to protect against these viruses. It can take up to 6 months to produce a vaccine in large quantities. Because the vaccine changes each year, you need to receive the flu shot annually in order to be protected. 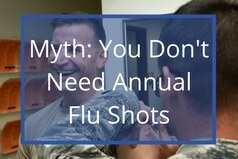 Another reason for receiving an annual flu shot is that the antibodies you developed from last year’s flu vaccine have weakened and will not protect you this year. In 1918, the illness known as the Spanish Flu resulted in a death toll that approached 50 million worldwide. It attacked even young adults, who are among the healthiest demographic groups with the strongest immune systems. Doctors began to work on a vaccine following the outbreak, becoming most active between 1935 and 1960. Unfortunately, many of the original vaccines contained combinations of different bacterial strains that could not protect the body against a viral infection such as the flu. Scientists needed to learn more about what caused the flu before an effective vaccine could be formulated. It was during this time that the World Health Organization (WHO) created the Influenza Study Centre, enabling researchers to track outbreaks on a global scale. This proved to be a wise decision, as the group studied the outbreak of Asian Flu in 1957 providing the groundwork for our current understanding of how the virus mutates—and, by extension, how to develop vaccines to protect ourselves against the flu. Labs all over the world conduct research on the ever-changing flu virus. Each year, the World Health Organization (WHO) releases recommended formulae for specific regions based on information collected during the previous year. Both the Type A and Type B viruses that cause seasonal epidemics mutate constantly, with new strains appearing all the time. Type A viruses generally cause more severe illness and are responsible for pandemics such as the Spanish flu. It is now thought that Type B viruses can also result in severe illness in some cases. Type C flu viruses cause milder symptoms, and generally don’t cause epidemics. You can check on the status of the flu in your region through the Government of Canada’s Weekly Influenza Reports. The flu shot is very safe and doctors encourage everyone to receive one each season. Public discourse has perpetuated certain myths about the flu shot that we’ll debunk right here. 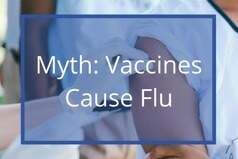 If you get the flu after receiving the vaccination it is because you were already going to get sick. Vaccines need two weeks to take effect, whereas flu symptoms take between one and four days to manifest. Therefore, you were already infected with the flu when you received the vaccine. The flu is a serious illness and should be treated as such. Those over the age of 65 and under the age of 6 are in the age groups with the highest risk for complications, should they become ill with the flu. Even those deemed healthy may experience symptoms for two or more weeks and can end up in the hospital or possibly die from flu complications, making it more serious than many realize. The vaccination is always the safest route to protect your own health. It is also far better to get the flu shot than to risk getting ill and infecting someone else at high risk for complications ? including loved ones. Receiving the flu shot is the number-one defense against influenza. 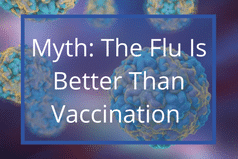 The flu vaccine’s efficiency can vary from year to year depending on several factors, but receiving it reduces your chance of contracting the flu by 40%-60% on average. The flu virus mutates constantly, presenting new iterations of the flu virus every year. The vaccine each year must be tailored against the most common circulating viral strains. Even if the viral strain remains the same, the antibodies that you built up last year will have weakened and will no longer protect you. Therefore, annual flu vaccination is a must. 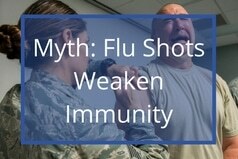 Flu vaccines do not weaken your immune system. 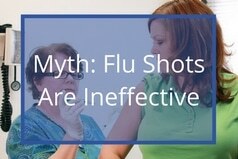 In fact, getting the flu shot once per year boosts the production of antibodies that increase your protection against the flu. 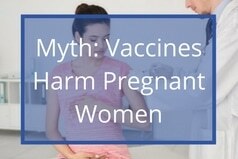 Getting the vaccine is perfectly safe for pregnant women, and is encouraged. Pregnant women who become ill with the flu increase their chances of miscarrying. Being vaccinated when pregnant can help protect unborn babies until they are able to be vaccinated themselves. 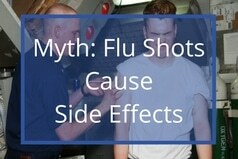 Side effects can occur from flu vaccines, though they are generally mild. The most common side effect is soreness at the injection site, and possible some swelling and redness. Some people may develop a slight fever and body aches. Children should be watched for fevers—especially those under the age of six. Rarely, vaccines can trigger an allergic reaction. 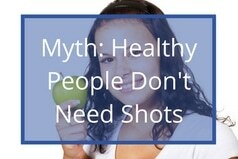 That is why doctors recommend staying in the clinic for 15 – 30 minutes after receiving the shot; they want to make sure no one has a severe reaction on the way home. While the flu shot is highly recommended for those who are more susceptible to illnesses and those in certain age groups – those who are in general good health are also recommended to get the vaccine. Even though you may not fall into risk categories for complications of the flu, you can still become seriously ill if you contract the virus. 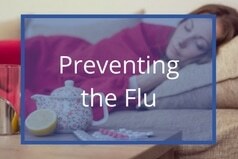 And the flu can make you feel so sick that you may not be able to participate in daily activities for several days, such as caring for your family, or going to work or school. Avoid those who have been infected with the virus. Flu symptoms can take up to four days to appear after you have been infected, but you can spread the virus as soon as you contract it. 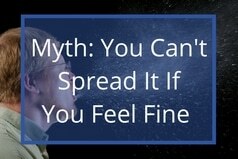 Just because you don’t feel sick does not mean that you are not contagious. Stay alert for signs of the flu for your own sake as much as for those around you. 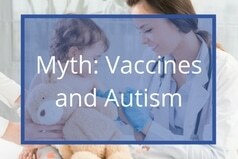 The myth that vaccines cause autism originated with a fraudulent scientific report linking components of the mumps-measles-rubella (MMR) vaccine to autism. The preservative known as thimerosal has been accused of being the source of the problem, but the Center for Disease Control has found no evidence to support that claim. In fact, the MMR vaccine never contained thimerosal. Studies have shown that the influenza vaccine does not cause autism, nor do other vaccines. 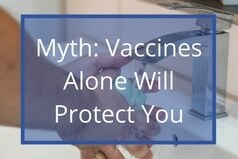 Parents may also be concerned with the claim that children receiving multiple vaccines in the one MMR shot can develop autism through an overwhelmed immune system. Again researchers have found no evidence of such a link. There are certain things that you should do to treat the flu and some things that you shouldn’t do. Follow this guide to recover as quickly and safely as possible. You should be drinking water, as staying hydrated is important for your overall health. For something with a little flavour, try juice or a sports drink with electrolytes. Herbal tea with honey is great for soothing inflamed membranes in the back of your throat. But avoid drinks with caffeine as they dehydrate you. Chicken soup is another great method for staying hydrated and building your strength. Although you may feel like eating is a hassle when you have the flu, you need to eat to get better. Soup acts as both nutrition and hydration, while the warmth may help soothe a sore throat and congestion. Antiviral medications are available by prescription and are the only medications that can fight against the virus rather than just treating the symptoms. You should see a doctor within the first 24 – 48 hours hours of any sign of symptoms, as that is when antivirals work best. 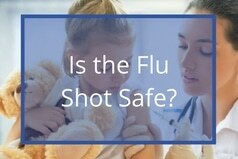 If taken soon enough, they can shorten the period of illness and prevent serious complications that may occur when the flu is left untreated. Vomiting and diarrhea are common symptoms of the flu, especially in children. Ginger ale, when left to go flat, often soothes the stomach and calms nausea. The hot water helps open up your nasal passages and soothe congestion. Take several showers a day. You can achieve similar results with a humidifier, as it moistens the air, making it easier for you to breathe. When you rest, your body can take action to repair itself. It’s that simple. You need rest, which ensures that your body has the ability to fight off the virus. It is best practice to spend the first day or two of illness taking it easy, preferably in bed. This will give your body a boost in fighting the flu virus. The cold and flu are caused by viruses, which are unaffected by antibiotics. You can build antibodies to the flu by receiving a flu vaccine, and you can fight the flu once you have it with an antiviral medication but not antibiotics. Mouthwash that contains alcohol can be harsh on your inflamed throat lining. Avoid irritating your throat any further. 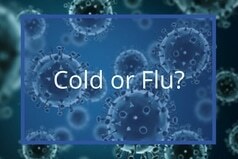 Some symptoms of the cold and the flu can be similar. Being able to tell which you have is important for your own health and for those around you. You will generally know if you have the flu, since it will come on much faster than a cold and will likely knock you down for days. Antivirals will work best if started within 24 – 48 hours, so it is important to identify your illness as soon as possible. Although not the only virus that can cause the common cold, the rhinovirus is the one most generally responsible. Colds appear most frequently from September to April. In some people, colds can leave them susceptible to bronchitis, pneumonia, or a streptococcal infection. People with a cold can pass it on in by touching surfaces on counters, doorknobs, phones, and so on that are then handled by others. They become infected when they touch their mouth, eyes, or nose with infected hands. Like the flu virus, rhinovirus is also airborne and can be passed on through coughs and sneezes. Cover your mouth when you sneeze or cough if you have a cold, and wash your hands frequently during cold season. While some symptoms of a cold and flu are similar, flu symptoms are much more severe than those caused by a cold. The flu is characterized by sudden onset of symptoms, and its ability to cause high fever and aching all over the body, not commonly seen with a cold. The flu also causes extreme fatigue, tiredness and weakness not typical of a cold. Use this cold-or-flu checklist to tell the difference. Flu symptoms also last longer than those from a cold, and can be extreme for up to five days. Weakness and body aches can remain for several weeks. Complications from the flu may warrant a trip to the hospital. Anticipating flu season and getting vaccinated every year is crucial for people with these conditions. Receiving the flu vaccine is the best way to prevent the flu, but receiving the vaccine twice in the same season will not improve an adult’s protection against the flu. Some children will benefit from two doses of the vaccine, as noted below. Children are more susceptible to the flu virus than adults because they do not possess the same kind of developed immune systems. Children under five years of age require more attention during peak flu seasons. Statistically they are at a greater risk of health complications from the flu than other age groups. Cildren should follow the same general steps that adults take to prevent the flu. Always consult your doctor before taking your child to a clinic for a flu shot. Some young children between the ages of 6 months and 8 years may need to receive a second inoculation at least 28 days after the first to improve the vaccine’s effectiveness. Talk with your doctor about the appropriate form of flu vaccination for your child. Are You a Parent of an At-Risk Child? Children cannot be expected to know how to prevent illness from spreading beyond the basic precautions, such as coughing into a sleeve, washing hands frequently, and not sharing food or drink. Ensure you protect your children by constantly washing your own hands and covering your nose and mouth while sneezing or coughing. Investing in hand sanitizer and medical masks may help reduce the risk of passing germs. 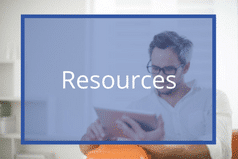 JoinAStudy uses only trusted resources such as those that comply with the Health On The Net Code of Conduct (HONcode), thereby ensuring that we are providing high-quality health information to professionals and the general public. The information that is provided should not be taken as professional medical advice. If you are having issues or have health-related concerns, you should see your personal physician.